Welcome to “Apps on Tap”, a fun weekly review of our favorites apps based on today’s top tech trends. Mobile devices have taken over our daily lives. In fact, the number of active smartphone users across the globe has topped one billion and it’s estimated that the number of tablet users in the U.S. will double to 70 million this year. That’s a lot of smartphones and tablets, which means a lot of apps to discover. According to Nielsen, in 2012, 64 percent of mobile phone time was spent using apps. Society has even coined the phrase “There’s an app for that,” which we admit is ironically true. Whether it’s booking a flight, purchasing a gift, finding directions, or translating a foreign language, there is a huge appetite for apps. In this week’s review, we take a look at three apps for the holiday shopping season. The holiday countdown has already begun. Before you could fully digest your Thanksgiving feast, it was time to decorate the tree, hang the lights and start checking off your holiday shopping list. Holiday shopping for some is considered a sport. Those who fancy themselves as bargain shoppers have already checked off their holiday shopping list, leaving no friend, acquaintance or family member behind (even the family pet). For those of us who are perpetual procrastinators no need to worry, we have three holiday shopping apps that will help you get through the season smoothly. Whether your family is large or small, you’re bound to forget someone on your list. To avoid last minute shopping for those forgotten family members, use the GiftShopper app to keep track of your gift giving this season. The GiftShopper app helps users collect, organize and share gift ideas, while staying on budget of course. 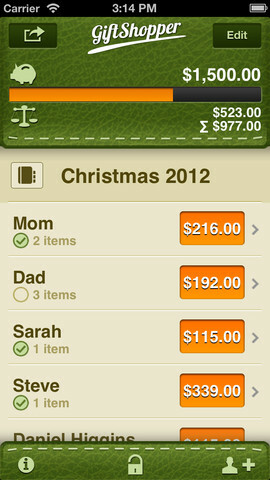 The app features a stylish, but simple user interface to help manage all your loved ones this holiday season. With the app, users can create an “event” for any occasion. Add family or friends directly from your phones contact list and store information, like clothing sizes. Compose a wish list for each individual and use the “purchased” or “not yet purchased” check boxes to stay on track. Even better, users can assign photos and barcodes to their gift items or ideas. For budget sticklers, the app tracks your gift spending and even warns you if you top your budget. Have a Nosey Nancy lurking around? The passcode protection feature prevents any curious individuals from seeing gift purchases and ideas. But the app can’t guarantee anyone won’t catch a sneak peek once the gifts arrive. Share your gift ideas and lists through e-mail; you never know maybe Santa will e-mail you back. Tis’ the season for gifting and what better way to shop than from the comfort of your home. Exclusively for iPad users, the Gifts.com app takes the stress out of shopping for the people in your life who have everything. Stumped on what to get your sister-in-law who you only met twice? Don’t get your holiday knickers in a twist; the Gifts.com app offers users unique curated gift ideas from the experts at gifts.com. Create sharable wish lists with the “Gift Lists” feature, to ensure that no family member or friend gets left in the cold. The app also features pop-up reminders for specified days for the extra forgetful folks. See something you like? Use the drag and drop function to drag favorite items to any of your wish lists. Save and share your wish lists with friends as well. Probably the most useful and unique feature on the app is its “Shop by Personality” feature. This feature gives users the ability to search for gift ideas based on personality type, such as “Guys Guy” or “Trendanista”. 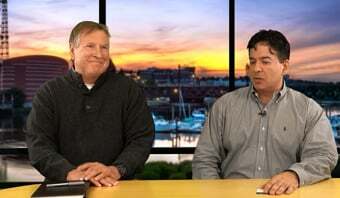 Be the ultimate gift giver this holiday season with the help of the experts at gifts.com. Ladies read carefully and guys pay close attention. 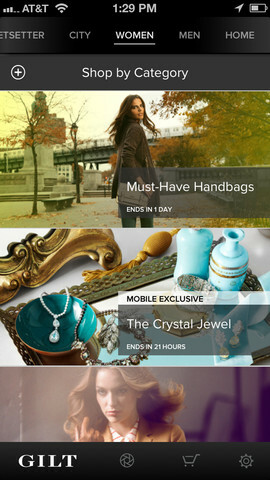 The aptly named shopping app, Gilt on the Go, is every woman’s guilty pleasure. Brought to fashionistas (and their clueless men) by Gilt Groupe, this app is the ultimate luxury gift finder for the holiday season. With daily deals of up to 60 percent off, users can shop for women’s and men’s clothing, children, home, travel, beauty and localized deals. With Gilt on the Go, users can shop by category or even color. Not only does the app offer designer products, but the easy-to-use interface boosts an equally luxurious look and feel. Search through large “swipe-able” images to emphasize product details or product comparisons. Don’t want to miss out on a pair of patent leather Jimmy Choos that are 50 percent off? Don’t worry; you will never miss a sale with the apps real-time sale alerts. But make sure you grab your gifts fast; sales only last a limited time. For those of you who don’t consider Vogue as the bible, but have someone in your life that does, Gilt on the Go has your back. Browse through specially curated gift guides, such as “Must-Have Handbags”, to find the perfect gift this holiday season. If designer fashion is not your thing, Gilt on the Go offers exclusive deals and insider pricing on luxe getaways, dining, spa treatments, fitness classes and more. These offers are currently available in Boston, Chicago, Los Angeles, Miami, New York, San Francisco and Washington, D.C.
Avoid being the labeled the family Grinch this holiday season and arm yourself with these helpful holiday shopping apps. And make sure to stay tuned next week for the next Apps on Tap installment, where we will review our favorite holiday travelling apps to keep you right on schedule.